Endlessly and unquestionably supportive of me in every other facet of my life, my parents have always adamantly opposed my lifelong passion for ‘donor-cycles,’ as they refer to them. Much to their chagrin, when I was 25 years old I insubordinately came home with my first motorcycle, resulting in my Mother crying and my Dad yelling until he was blue in the face. So imagine my surprise when my old man swung a leg over my motorcycle one Saturday afternoon and asked about how he could go about getting his license after a 30-plus year hiatus from the hobby. 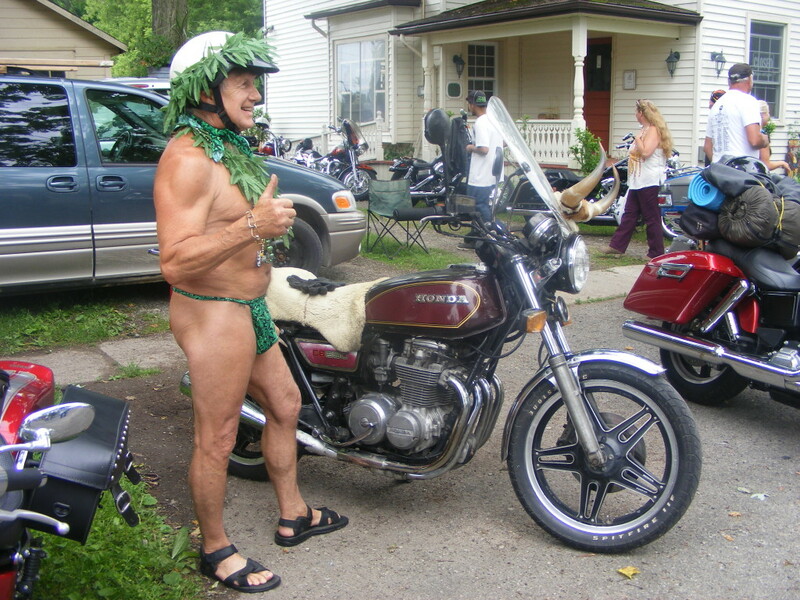 Back when he rode his buddy’s old Triumph, one didn’t even require either a license or a helmet. Aviator sunglasses and sideburns were optional. And awesome. Busy raising a family and keeping the skies safe as an Air Traffic Controller at Pearson International Airport for 38 years, ‘Bear’ as he is affectionately known, was recently retired and had some extra time on his hands. Also a pilot and former sports car owner, the two of us share the same intrinsic gravitational attraction to anything with an engine that makes noise and goes fast. After signing up for the same Gearing Up program at Humber College that I had completed years earlier and picking up some gear at Jacox Harley-Davidson, we arranged our first ride aboard a Springer CVO (Custom Vehicle Operations) and a Road Glide to attend the Friday the 13th festivities in Port Dover, Ontario. 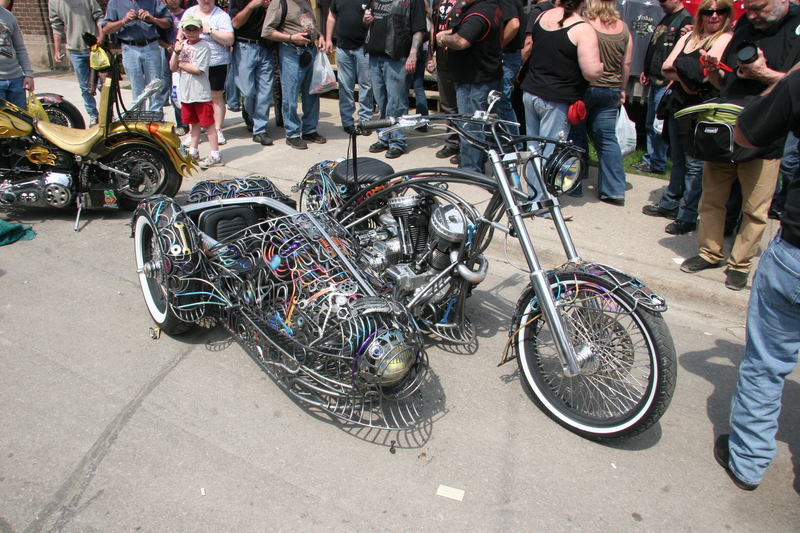 An event that encapsulates the biker lifestyle, it was far enough from Mississauga to be an adventure but not far enough to be daunting to a new rider. Again. According to pd13.com, Chris Simons, who owned a bike shop in Port Dover called Biker’s Delight, congregated with a group of friends in the small town one night in 1981 at what was then known as the Commercial Hotel. It also happened to be Friday November the 13th. As legend has it, they had such a good time they decided it should be repeated the next Friday the 13th. The rest, as they say, is history. 34 years later and the event is still getting bigger every year, much to the chagrin of some locals and the elation of many others. Setting off early in the morning, I let Bear lead and go at his own pace. I was impressed by his smooth riding style considering he hadn’t ridden regularly in nearly four decades – especially on a bike of the Road Glide’s stature. Although understandably cautious at first, his confidence quickly grew to the point where it seemed as if he had never stopped riding at all. Sticking to more scenic and less busy rural roads, we stopped in to the Canadian National Warplane Heritage Museum where he is a member of the revered Lancaster crew – a dedicated group of volunteers from a wide array of backgrounds who keep this flying piece of history in good working order. One of only two left flying in the world, Vera, as she is affectionately known, serves as a tribute to those who selflessly faced near certain death and gave the ultimate sacrifice for the sake of the freedom we enjoy today. There’s something about airplanes and motorcycles that just inherently go together. The speed, the sound, the danger. 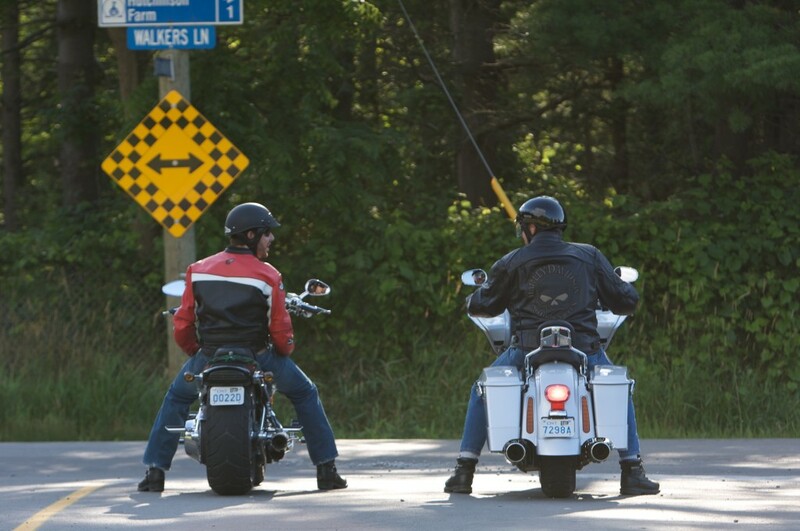 After showing off the bikes to his fellow fly buddies, we got back onto Highway 6 south towards Caledonia before passing through Hagersville and beyond. 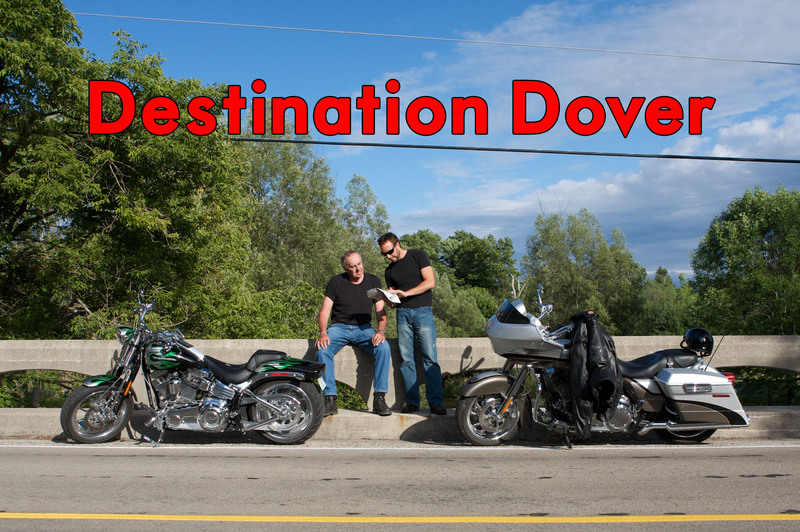 As we approached the normally sleepy town of Port Dover, the number of bikes on the road rose exponentially. Groups and individual riders converged seamlessly like flocks of birds migrating south for the winter. One particularly memorable moment transpired when a small pack of heavily tattooed one percenters noisily slid into formation behind us. I’ll never forget looking back in my mirror to see my old man cruising behind me down Highway 6 comfortably straddling a Hog being followed by several unwashed, but generally well behaved outlaw bikers. He was also smiling from ear to ear. One of the highlights of the trip for Bear was running into his ‘girlfriend’ from Harley-Davidson, former PR specialist Alex Carroni. While most people attend PD13 for the music, beer, bikes and babes, we went mostly for the people watching. 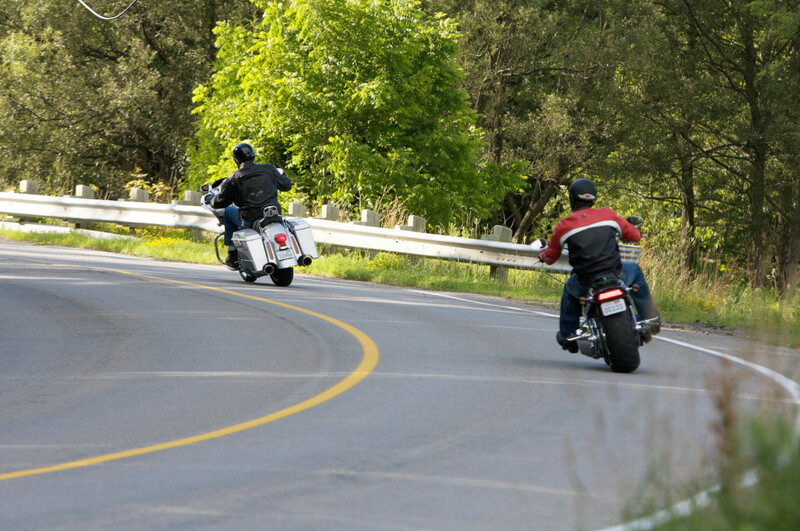 The origins of the Friday the 13th debatably may have a small outlaw element, but the reality is that it attracts riders, motorcycles and enthusiasts of all shapes and sizes, none of whom seem to be there to cause unnecessary trouble. The majority of bikes are cruisers, but there seemed to be a growing sportbike contingent as well as several brave souls who parked their diminutive scooters among the sea of larger bikes. 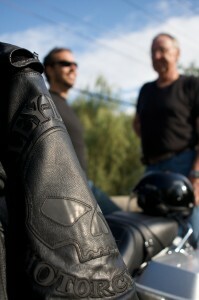 There is never a shortage of interesting people and motorcycles to take in at PD13. While he was anticipating an eclectic crowd, I don’t think Bear was necessarily prepared for the amount of silicone and skin he saw. For those uninitiated into the workings of PD13, seeing Thong Man is something of a rite of passage. Rocking a different banana hammock at each iteration of the event no matter the climate conditions or time of year, the weathered and confident old gent is something of a celebrity at these proceedings although I can’t imagine what he does for the rest of the year. Something of an unofficial mascot, meeting ‘Thong Man’ is a rite of passage for those who attend PD13. After spending the afternoon touring the city streets, checking out the bikes and taking in the other various ‘scenery’ we were ready to head homeward bound. Been there, done that, bought the t-shirt. Avoiding the main highways, we opted to stick to the secondary roads which offer less traffic and more interesting scenery. No drug I have tried, legal or otherwise, has compared to that kind of natural, calming and euphoric high that motorcycling provides. This feeling of pure, unadulterated freedom is what I could never get my parents to understand. 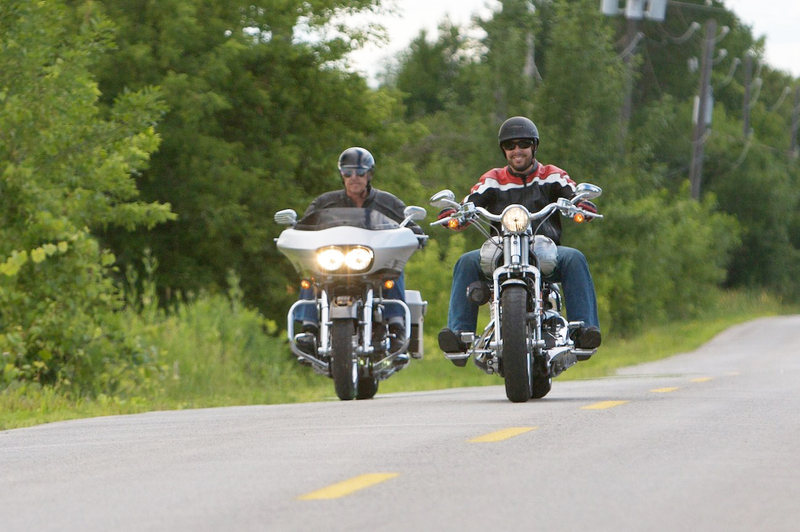 Embracing that joy is what separates those who ride and those who don’t. As the famous saying goes, “If I have to explain it, you wouldn’t understand.” I’m glad I no longer have to try to explain it to Dad and he has at least partly embraced the experience. 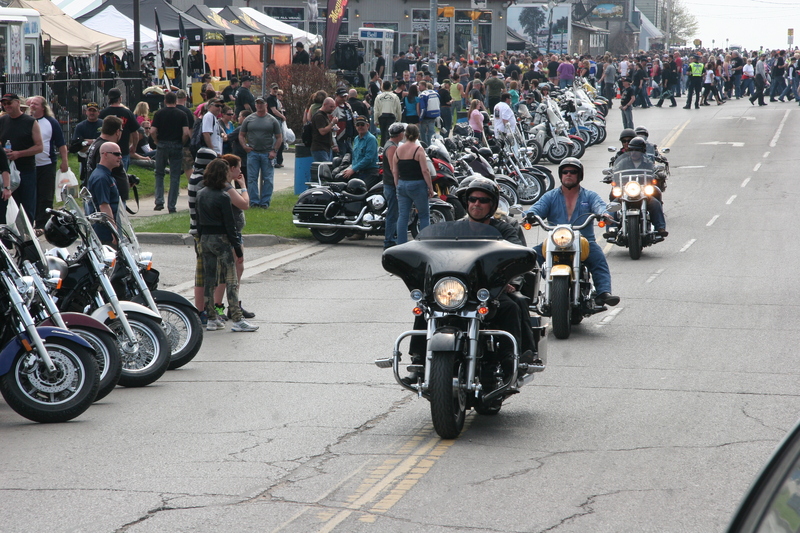 I am also looking forward to heading down to Port Dover this November for the next Friday the 13th. Dustin Woods is PR professional, writer and photographer who will go anywhere and do anything in order to avoid sitting at a desk for too long. He has been chronicling his automotive and powersport travel adventures for various websites and magazines for the better part of a decade.